They lost the match 21-3 before losing the series to a Dan Carter master class in Wellington – going down 48-18. 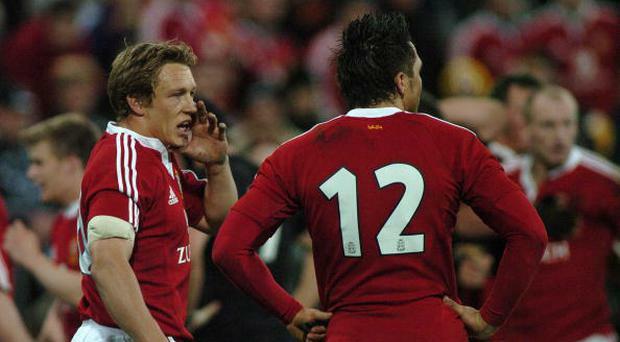 The 38-19 loss in Auckland completed the whitewash but Jonny remembered that the writing was on the wall in the first Test, highlighting the stark contrast between the Lions and the England side that had won in Wellington in 2003 under Woodward, just some months before the World Cup success, despite being down to 13 men at a point. “We were together with England and sure of one another that we just dealt with it,” Jonny said. “Some years later we were there again with a full squad of wonderful guys from all different teams gathered into the Lions, went out for the first Test and it was like chaos I had never witnessed before.” He concluded.